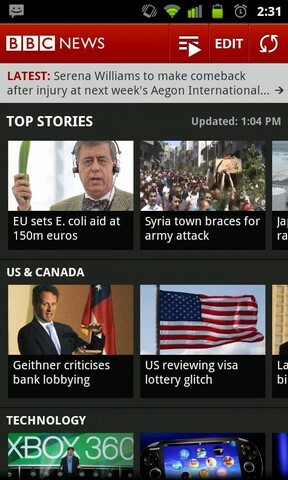 With BBC News app for Android, you can get the latest world and regional news from the BBC’s global network of more than 2000 journalists. From breaking news, to business, politics, entertainment, technology, the arts and sport, all divided into clear sections, this free app lets you watch video reports, listen to live radio and read the latest updates wherever you are. Simple design with easy scrolling for efficient browsing. Tap to reveal full-screen article and in-story video. Swipe through stories to browse. Post stories to social networks, or share via email and SMS. Get breaking news with a real-time headline ticker. Listen live to BBC World Service radio. Watch or listen to the latest news headlines. 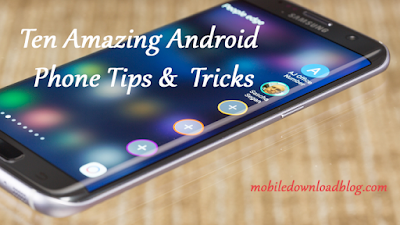 Personalise your home screen by adding and removing sections. Choose to automatically update content in the background. Set text size to suit your preferences.